Interested to join our network? Our business is based on a straightforward premise – to make things simple for our customers! We remove the need to carry heavy bags or travel to specialized shops to buy high quality pet food. A Husse customer simply places their order online, by phone or fax and we deliver on a fixed schedule to suit them. The success of this concept has been solidly proven. 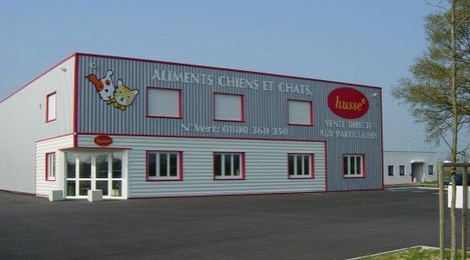 Since our franchise was launched 28 years ago, Husse has been growing approximately 25% every year, adding new markets and consistently winning new market share of the fast-growing global pet food industry, regardless of cultural differences and consumption patterns. Husse is now expanding across the USA and we are seeking master franchisees and unit franchisees in all states. We are offering you the opportunity to obtain the exclusive rigthts to our brand, system and product range in your state or local area. Your role will be to set up a warehouse, keep a complete stock of Husse’s product range, recruit a network of franchisees/distributors and support them as they build their business. 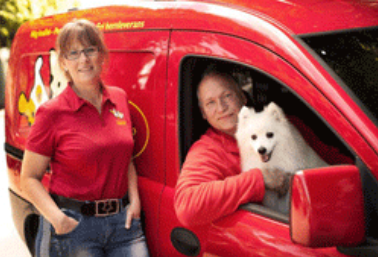 As a franchisee, you have rights to the Husse brand and our product range for your local area. Your objective is to build a local customer base which will regularly order Husse's product from you. As a master franchisee or unit franchisee you have the exclusive right to the Husse trademark which, in addition to brand image and product range, gives you access to a comprehensive, easy-to-use CRM business program and professional marketing support.